So last week I was fortunate enough to attend the 3rd Selenium conference in Boston, and what a fantastic time I had. My trip started on the Saturday from BHX with a flight via CDG, arrived in Boston and made my way to the hotel, to discover that my hotel had only been ‘reserved’ and not actually booked and paid for, fortunately was only 9pm in the UK and was able to get this resolved, whew! 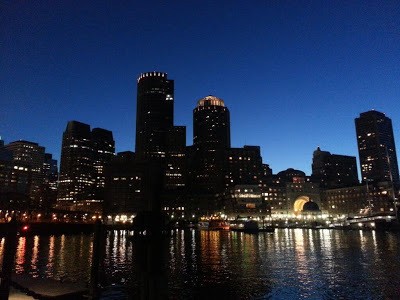 Saturday night was a quiet affair, I tried twitter to see if anyone else had arrived, but no response so I decided to take a look around Boston by night, lovely place. 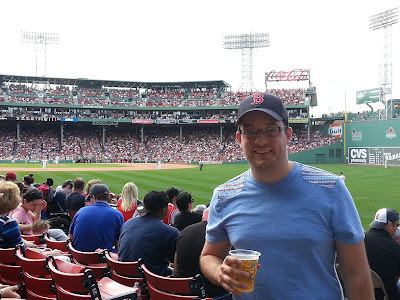 Was looking forward to Sunday, as had made arrangements back in the UK to attend the Baseball game between Boston Red Sox and the Los Angeles Angels at the famous Fenway Park with a friend made at last years seconf. I had never experienced a Baseball game before, but boy those Americans love a bit of Baseball, I got the park 1h30min early and it was hectic everywhere! With some time to kill, I went into one of the many bars (IDed on the way in obviously, they ID EVERYONE!) and just minded my own business, but ended up talking to an old chap who explained the rules of Baseball to me, which I promptly forgot whilst watching. The game itself was great, Boston won and we saw 6 home runs I believe, great atmosphere, although food and drink are not cheap! but its expected in stadiums. I had a fantastic afternoon but little did I know my evening was going to get better, arriving back the hotel, I saw Jim Evans at the bar and wanted to say hello, later followed by Marcus. A few minutes of friendly chatting went by and then Ivan De Marino turned up, followed by David Burns & Simon Stewart and they continued to come, I found myself surrounded by lots of seconf attendees but more importantly they were committers, organisers and sponsors, I was the only “odd one out” so I asked if they minded if I tagged along, they said sure no problem, I sprant upstairs to drop some stuff off, and rushed back, as really didn’t want to miss this opportunity. We ended up at a very fancy steakhouse called “Mooo”, and wow was I in for a treat! and I am not only talking about the food, however the food was great! I was sat at the end of a table with Jari, David, Stephen and Simon and it was so fantastic getting to know this guys, such interesting characters and I really did have a fantastic evening. The bill came which was, lets say, larger than expected, but so so so generous of Facebook, Mozilla and two sponsors to cover the bill, was very very kind, so thank you! So as you can imagine I was on a high before the conference / workshops had even started. So before I go into detail about the workshops and talks I attended I want to prompt you that I took to trying ‘Sketch/Doodle Noting’, I haven’t actively done this before, I have always doodled but never actually thought anything of it. I haven’t studied this topic at all, however I find it really helps me remember the talks but also focus during the talks. I find the images act as the locator to the memories of the talk, but I intend to study the subject more. The Appium workshop was very hands on, unfortunately I didn’t take a laptop too the conference this year, I just had an iPad, however I paired up with Matt Smith and he proceeded to follow the instructions. There was a lot of prerequisites to download, which wasn’t ideal but obvious hard to avoid with such a workshop, and several issues with OS’s, but have to say Dan and the sauce labs lads with fantastic working the room to assist with issues. But we did eventually get a test running on an IOS simulator, which was great! But lets talk about Appium, this is a project which has been moving at a very fast pace, and the result is a very feature rich project, and relatively simple to use once all the prereqs have been installed. This workshop was hosted by Kevin Menard and I was really keen on this, as GRID is one of those things that people complain about a lot (including me!) saying that its flakey and unstable, but its not, its down to having a decent set up. Kevin started by explaining to us his approach used for managing GRID for his MogoTest product, along with all the various layers he has added to add more visibility into what is actually happening on the grid infrastructure. Unfortunately for Kevin, we had some technical difficulties in following his tutorial due to bandwidth issues within the conference room, and potentially a bad package/mirror, however Kevin has said that when he gets some free time he is going to produce a video/online tutorial to show off all the hard work he has put into creating a stable deployment grid infrastructure. I encourage all of you to watch out for this, as it looked fantastic. I would like to applaud Kevin though for still producing an excellent workshop considering his original plans were completely messed up by the bandwidth issues, however he continued to explain the theory and then hosted an excellent grid QA session, which I took a lot from, so the attendees asking questions would have too. 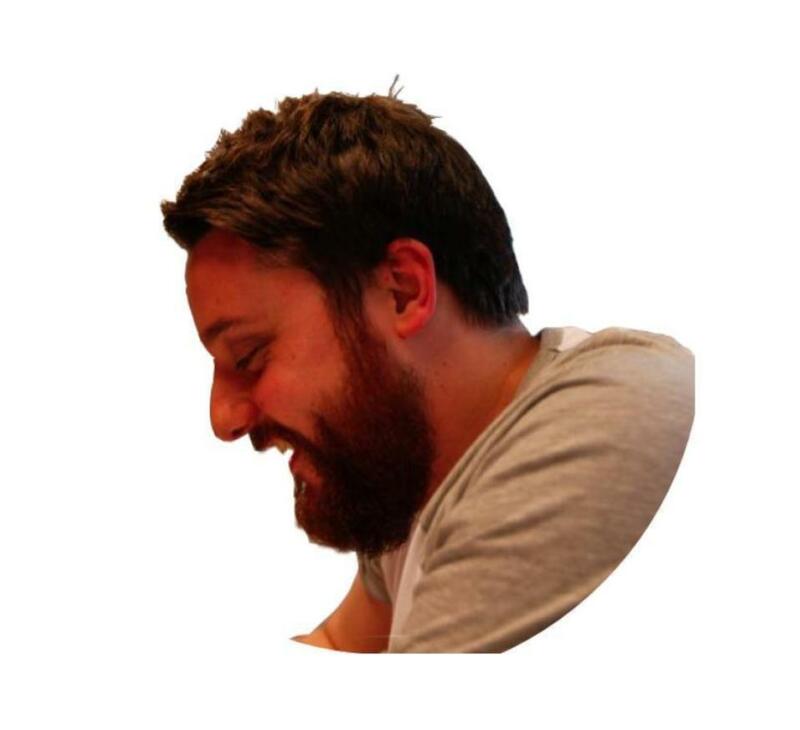 For me, I think the technical difficulties are actually going to be very rewarding for the community, if Kevin does post a tutorial everyone will have excess to this and be able to appreciate all the hardwork Kevin has put it, and the fact he is willing to share this is excellent. So at these years conference I decided to do a lightening talk, I had decided several weeks before that I was going to do one, and had jotted down a few ideas on the plane. However when I saw the board to put your name down, I panicked, and had gone from super keen and up for it, to Hell No, I ain’t doing that. But I DID!!! If you are interesting in watching it, it was entitled “Production Monitoring with Selenium”, this was a continuation of @lev_sha from #seconf 2012, I was also doing this then and his talk was the first I had heard of anyone else doing it, but it also stayed that way since, so I decided to do the same topic because I really do feel more people should be doing this. I had no slides, as didn’t take a laptop this year, just iPad, but I still think I was able to engage people. I did however fail to introduce my self, but its a learning curve! There was something to take from all the talks that I watched during the two days, so I would encourage anyone in automation to go and watch the videos which are now on the Selenium Conference youtube channel. There was certainly a theme of patterns and factories, but some really do look promising. Is your Page loaded by Erik Jelinek, I haven’t had this problem to much my self, but this looks like a nice pattern to follow. Getting started with GhostDriver by Ivan De Marino, I hadn’t realised how feature rich GhostDriver and in turn PhantomJS was, so this needs re-watching and more investigation. Creating data for Functional Tests with the Test Data Builder Pattern by Alan Parkinson, again this is a problem most face, so looking like an interesting pattern to investigate. Plus you have to watch Jim Evans talk on the IE Driver, because he tells an excellent story. For all interested in Testing, and most of you won’t be reading this if you are not interested in Testing, you have to watch Noah Sussman’s talk titled “Continuous Improvement”, if was simply fantastic. So if you have read all these, thanks! I really did have a great time at the Selenium Conference, and remember to say hello to people when you go to all the effort of traveling and attending conferences, because there is so much value to be unlocked by a simple “Hello”.